Harmonize Your Smile with Your Facial Features. 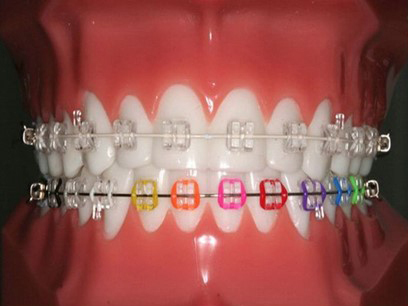 Modern Braces That Matches Your Lifestyle! At Aria Dental, we believe in providing patients a variety of treatment options, so they can choose the one that matches with their lifestyle and helps them feel the most confident. 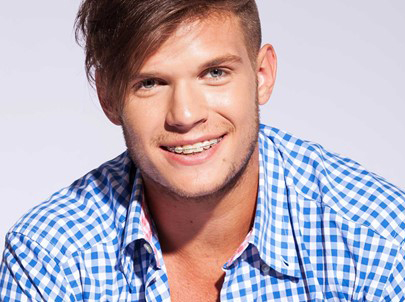 As an alternative to traditional metal braces, teenagers and adults are welcome to select clear ceramic braces, which replace the traditional metal bracket system of the past with the similar power and beauty result. 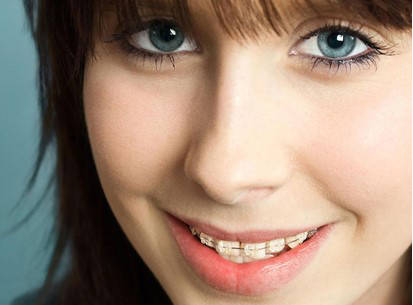 Clear braces are often selected by adults and older teenagers that don’t want the visibility of traditional braces. Are you ready to achieve the straighter smile of your dreams? If you want to talk to the top dentist in Orange County, offering a full range of orthodontic options. Please call (949) 364-9600 or of Mission Viejo today for an appointment. Clear ceramic braces consist of ceramic brackets and clear wires adhered to your teeth like traditional braces. By applying a constant and gentle force on your teeth, orthodontic appliances gradually realign teeth into a proper position that make your smile look straighter, healthier, and more attractive. 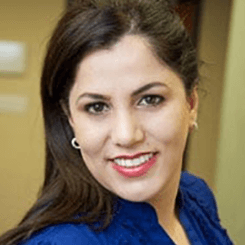 Dr. Horiyat enhances the process with brief tightening appointments about every month. Clear ceramic brace are semi-translucent braces that blend in naturally with your teeth enamel making them much less noticeable than other braces. They allow the patient to retain a more natural look and are designed for patients of any age who are looking for confident and freedom to smile without being worry that their braces will show. Who said brace must be boring? Choose just one color or mix and match for extra fun! Our younger patients often have a different outlook than our young professional or adult patients – they want color and want their braces to pop. When colored bands are places on clear ceramic brackets, they enhance the bracket, and create an impressive “wow” factor. Some kids like to pick their favorite color, while others like to match with their school’s color, their favorite team’s color, or their holiday dress. The main benefit of clear ceramic braces is that they’re capable of providing the same strength, stability, and comfort to orthodontic service subtly. Ceramic braces differ from metal braces because they offer a smaller bracket design which takes up less space on the front of your tooth. Their innovative, fine-grained ceramic material is highly strong and reliable. Trusting the outcome of your orthodontic experience is dependent on the skills of your orthodontists, but also on the products that they choose to use for your treatment. 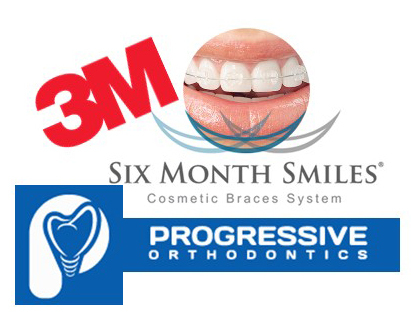 You can trust your decision to use ceramic clear braces at Aria Dental, designed and fabricated by 3M Technologies, Progressive Ortho, or Six Month Smiles; they will give you the results you deserve and expect. Despite all their benefits, braces do have limitations in term of comfort, care, and appearance, so it is understandable that not everyone likes them. That's why we offer other options for certain cases. Invisalign is a comprehensive and virtually invisible orthodontic treatment option. It can be used for most full orthodontic cases where there is no bite problem that needs to be corrected. Six-Month Smiles, Invisalign Express are treatments that can be used in a smaller number of cases where the concerns are mostly aesthetic and mostly involve the front teeth.